1 Portman, Rachel (Composer) Minor Swing (From Original Soundtrack "Chocolat") - 02:14 Min. 2 Portman, Rachel (Composer) Main Titles From "Chocolat" (From Original Soundtrack "Chocolat") - 03:08 Min. 3 Portman, Rachel (Composer) The Story Of Grandmere (From Original Soundtrack "Chocolat") - 04:09 Min. 4 Portman, Rachel (Composer) Vianne Sets Up Shop (From Original Soundtrack "Chocolat") - 01:59 Min. 5 Portman, Rachel (Composer) Three Women (From Original Soundtrack "Chocolat") - 01:02 Min. 6 Portman, Rachel (Composer) Vianne Confronts The Comte (From Original Soundtrack "Chocolat") - 01:22 Min. 7 Portman, Rachel (Composer) Other Possibilities (From Original Soundtrack "Chocolat") - 01:35 Min. 8 Portman, Rachel (Composer) Guillaume's Confession (From Original Soundtrack "Chocolat") - 01:30 Min. 9 Portman, Rachel (Composer) Passage Of Time (From Original Soundtrack "Chocolat") - 02:33 Min. 10 Portman, Rachel (Composer) Boycott Immorality (From Original Soundtrack "Chocolat") - 04:39 Min. 11 Portman, Rachel (Composer) Party Preparations (From Original Soundtrack "Chocolat") - 01:29 Min. 12 Portman, Rachel (Composer) Chocolate Sauce (From Original Soundtrack "Chocolat") - 00:49 Min. 13 Portman, Rachel (Composer) Fire (From Original Soundtrack "Chocolat") - 02:38 Min. 14 Portman, Rachel (Composer) Vianne Gazes At The River (From Original Soundtrack "Chocolat") - 01:07 Min. 15 Portman, Rachel (Composer) Mayan Bowl Breaks (From Original Soundtrack "Chocolat") - 02:15 Min. 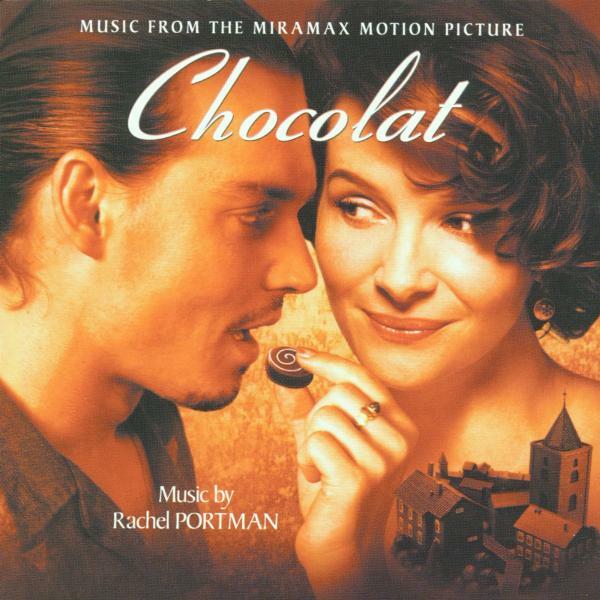 16 Portman, Rachel (Composer) Taste Of Chocolate (From Original Soundtrack "Chocolat") - 03:09 Min. 17 Portman, Rachel (Composer) Ashes To The Wind / Roux Returns - 02:19 Min. 18 Portman, Rachel (Composer) Caravan (From Original Soundtrack "Chocolat") - 03:43 Min.